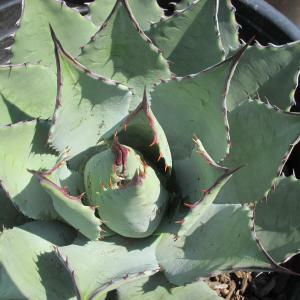 Agave parryi has thick, rigid, smooth, ovate to oblong, blue-grey leaves to 30cm long and forms a large, dense, symmetrical basal rosette. A rosette will typically mature overtime to 60cm tall by 90cm wide. Each leaf has spiny margins with a one inch terminal spine. Suckers/offsets root at the base of the rosette forming overtime a colony of rosettes. Each rosette will flower only once, usually at some point between 10-15 years (not the 100 years suggested by the also-used common name of Century Plant used for some agaves), but sometimes flowering will not occur until 20-30 years. One huge flowering stalk (to 20' tall) will rise from each rosette, with each stalk producing 20 to 30 side branches and with each side branch containing a large cluster of creamy yellow flowers. In its native habitat, flowers typically bloom in summer (June - August). Flowers are followed by seed pods. The flowering rosette dies after flowering, but new rosettes formed by suckers/offsets from the base of the mother plant will remain. 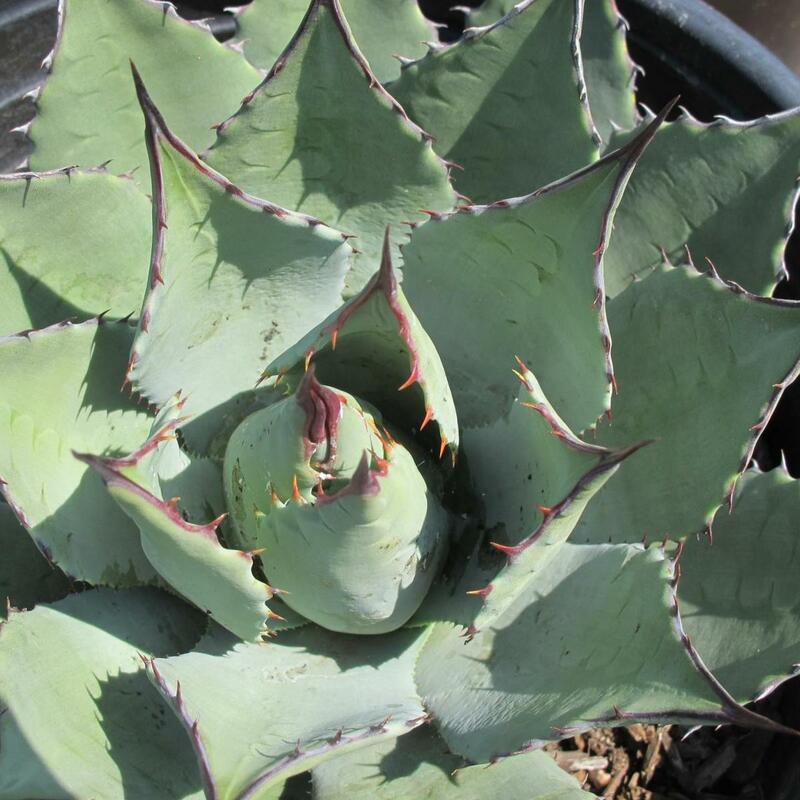 Native Americans used this Agave parryi as a source of food, fiber, soap and medicine. Plant liquids may be fermented to form an alcoholic beverage called pulque which may be further distilled to form mescal or tequila. Genus name comes from the Greek word agauos meaning admirable in probable reference to the flower spikes. The species name commemorates Charles C. Parry (1823-1890), the British born physician-botanist and plant collector, who did much to further our understanding of the North American flora. Other important plants he discovered include the Torrey Pine, Pinus torreyana and the Engelmann Spruce, Picea engelmannii. Several plants are also named after him,including Lilium parryi and Penstemon parryi and in addition the genus Neoparrya was named in his honor.